Food companies often print recipes on their cans. 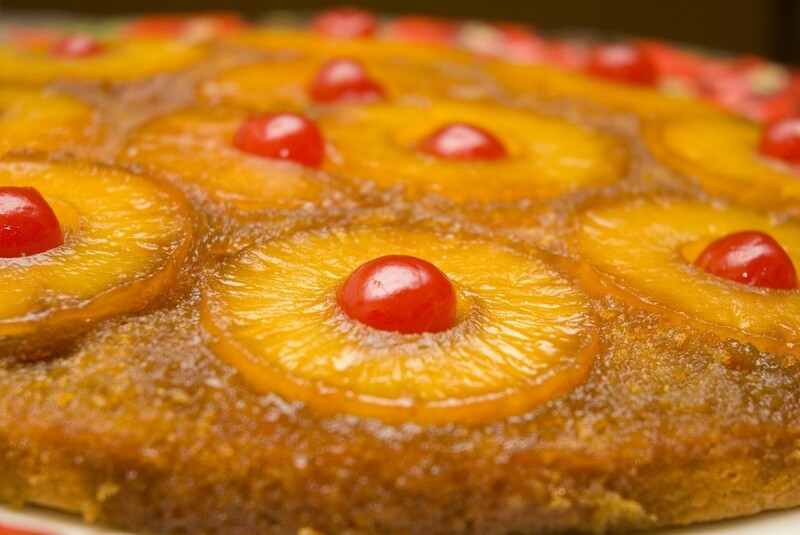 Dole pineapple has periodically published recipes on their labels, including some for cakes. This page contains Dole pineapple cake recipes. Years ago Dole use to have a recipe for a pineapple cake on the label of its cans. Does anyone have this recipe? I recently saw a recipe which used a pkg. of Angel Food cake mix and a can of crushed pineapple. You just mix them together (no other ingredients) and bake as directed on package. I tried it and it was pretty good, but very sweet - even with the juice-packed pineapple. Don't know how you could overcome this, but it certainly was easy.